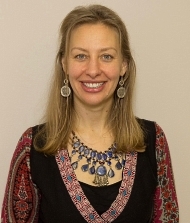 Lauren is an Acupressure and Shiatsu Therapist and the Founding Director of Eastern Medicinal Therapies Education Center (EMTEC). A certified Asian Bodywork Therapist (ABT) with the American Organization of Bodywork Therapies of Asia (AOBTA)® and a Diplomate of ABT with the National Certification Commission for Acupuncture and Oriental Medicine (NCCAOM)®, Lauren continues her studies at New England School of Acupuncture, now Massachusetts Collage of Pharmacy University, learning Chinese and Japanese Acupuncture and Chinese Herbs. In addition to her work as a practitioner and educator, Lauren serves as President on the Board of Directors for the (AOBTA)®. With a lifelong passion for learning and building community, and with the support of her mentors, Lauren created EMTEC with a mission to inspire learning, create community and provide courses offering continuing education for Acupuncturists, Asian Bodywork Therapists, Herbalists, and Eastern Modalities Practitioners (Acutonics, Qi Gong, Reiki, etc.). Lauren and everyone from EMTEC hopes that you will feed your own quest for knowledge and community by participating in our programming now and in the future.